Insurance agents get a lot of bad press and your image in the eyes of the general public is hardly positive. So, what's causing all these negativity and unhealthy reactions? It is unfortunate as I’ve seen for myself now and have met many of you who are professional and passionate about what you do. 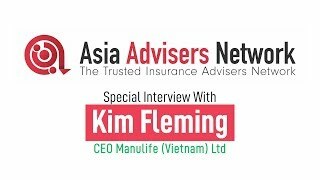 As someone completely clueless about the insurance industry before joining Asia Advisers Network, here are some reasons why I had the same negative perception and what some of the actions that turn people off are. Case in point, the product may have personally worked for yourself, a family member or a client, but believing in the product so hard to the point where you’re forcing the benefits down on someone can get pretty annoying. This is especially so when an adviser hardly spent any time to find out about me and my needs. Without understanding my circumstance but already has a product to push. It may really be the most suitable product. But customers are likely to say “No” simply because such salespeople are avoided like the plague. And they leave a bad aftertaste. Instead try: matching the right products and services to the customer’s needs. For this to happen, you’ll need to work towards building a relationship with clients to better understand their priorities. Your customers are unlikely to have the impression that you are a “hit-and-run” salesman who is selling just to hit commissions and targets. Sure, a deserving individual clearly deserves his rewards. But overplaying the luxury watches and sports cars may add to the negative perception that insurance agents are overpaid. 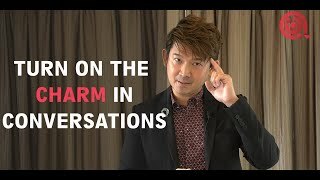 It is also hard to gel the discrepancy that on one hand we are advised by a financial adviser to cut down on our spending and that we should save and invest more, and on the other hand we see such displays of consumerism on social media from the very same adviser. Instead try: advocating lifestyle values such as “financial prudence”, “living healthy” and “living with meaning”. If your job is to help your customers manage their risks and evaluate their finances, steering away from unnecessary expenses would help navigate your customer’s mindset in the right direction. We can’t deny that customers are getting more online savvy and will research and compare the benefits and costs of a policy plan. You probably also had some customers coming to you enquiring plans from companies that are not under your belt to sell. As much as you would like to eliminate competition, don’t. Putting down other insurers reflects badly not just on you but the industry. If insurance companies can put out a product that is so bad as portrayed, the industry must be not very good, right? So, do not give in to emotions and approach your customer objectively. Instead try: researching the policy plan your customer is inquiring about, and provide them a breakdown of the pros and cons. Align the benefits and disadvantages to the customer’s profile since everyone’s needs and priorities are different. And even if the customer does not end up purchasing from you, you leave a cleaner and better image of yourself and ultimately the industry in their impression. And that leads to them remembering you, thus referring their friends knowing how you would impartially approach such delicate matters. Treat customers like people, not transactions. People are not mindless automatons. Today’s consumers are incredibly savvy. They are able to feel the emotions when a salesman talks to them and decide whether the sale pitched to them is sincere or manipulative. 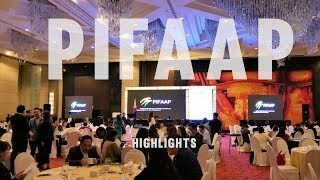 “We have a shared and collective responsibility to ensure that this sort of behaviour isn't condoned but vigorously repudiated, that way sustaining confidence in our role as financial practitioners, in the interest of the people we serve.” Quoted from Leong Sow Hoe, President of the IFPAS Executive Council, and currently on the judging panel of Asia Trusted Life Agents & Advisers Awards 2019. 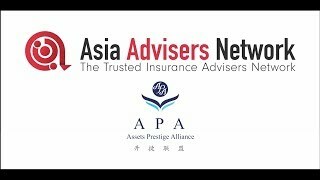 Enter the Asia Trusted Life Agents & Advisers Awards 2019. A platform to honour and recognise the extraordinary efforts throughout the region and improving the image of insurance agents and advisers. The purpose of the Award is to measure success differently. It is not about bringing out 100 case counts, but to bring out 100% of case counts that did not lapse or surrender. To be known and rewarded for quality work, and not quantity work. Nominations are open. You can also nominate your peers, your company and even yourself for the Awards. Send it in here.